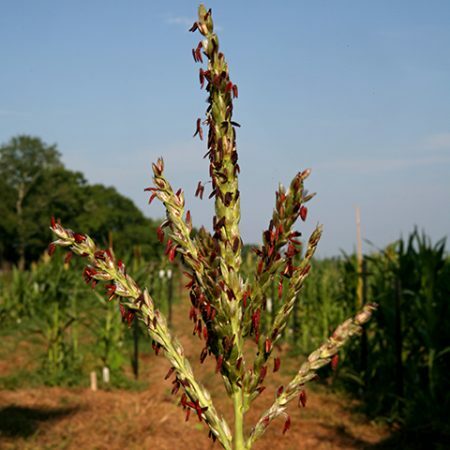 A team led by Florida State University researchers has identified DNA elements in maize that could affect the expression of hundreds or thousands of genes. “Maybe they are part of the machinery that allows an organism to turn hundreds of genes off or on,” said Associate Professor of Biological Science Hank Bass. Bass and Carson Andorf, a doctoral student in computer science at Iowa State University, began this exploration of the maize genome sequence along with colleagues from FSU, Iowa State and the University of Florida. They wanted to know if certain DNA structures such as the four-strand G-quadruplex (G4) DNA might exist throughout the genetic material of maize. G4 structures are present in genes that regulate cancer and cell division in humans, making it an important focus in scientific research. But, not much is known about them. Bass, a plant biologist, believed examining them in maize might yield more answers. The general public thinks of DNA as two connected strands known as the double helix. But scientists also discovered over the years that those strands regularly separate so they can replicate the genetic material. That material can also twist into different shapes such as a G-quadruplex. Bass and his colleagues found 150,000 sequence motifs that could theoretically adopt the G4 DNA structure, and they were distributed all over the chromosomes. Further examination showed that they were present in very specific places, as opposed to a random distribution. Given the strategic placement, the G4 is likely to perform some sort of function. Preliminary work showed that many of the genes identified were implicated in responses to energy crises within plant cells. The article is featured on the cover of the December 2014 issue of the Journal of Genetics and Genomics. Further examination must be done to determine how and why these elements work, but Bass’ team believes that in maize the G4 elements help the plant deal with abiotic stresses such as low oxygen or low sugar. The next step in the research will be for Bass and other scientists to run experiments testing the regulation ability of the G4 elements on a gene. Other authors on the paper include FSU Assistant Professor Elizabeth, Stroupe, Stroupe’s graduate student Mykhailo Kopylov, Iowa State researchers Drena Dobbs and Carolyn Lawrence, and University of Florida researcher Karen Koch.